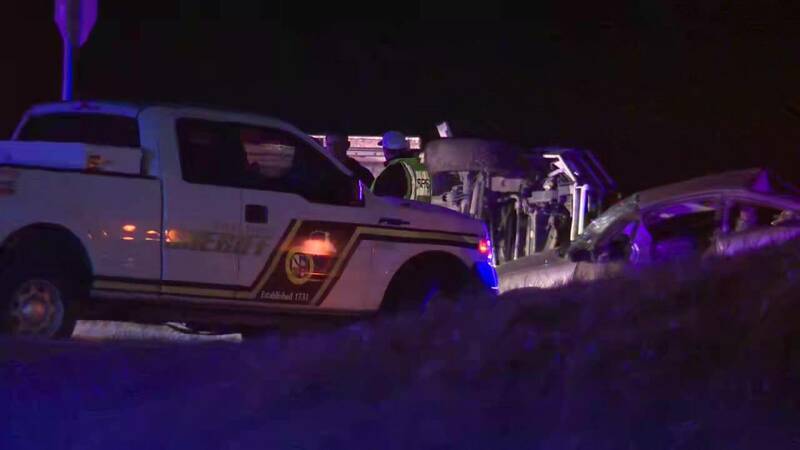 BEXAR COUNTY, Texas - A 70-year-old man was rushed to a hospital with life-threatening injuries Wednesday night after a crash in southeast Bexar County. The crash happened near the 14800 block of Adkins Elmendorf Road. A sergeant with the Bexar County Sheriff’s Office said the 70-year-old man was stuck in his vehicle after the 2-vehicle crash. Fire crews were able to extract the man, and he was rushed to the San Antonio Military Medical Center. The sergeant said medical personnel don’t expect the man to survive. The other driver was not injured and was not intoxicated.